DMV rapper Goldlink didn't show his face before his first tape dropped, betraying a slight, possibly justified smugness that comes across when we speak: with just a handful of leaks in the world, he was confident enough in his astral hip-hop/dance sound to know people would want to see him. 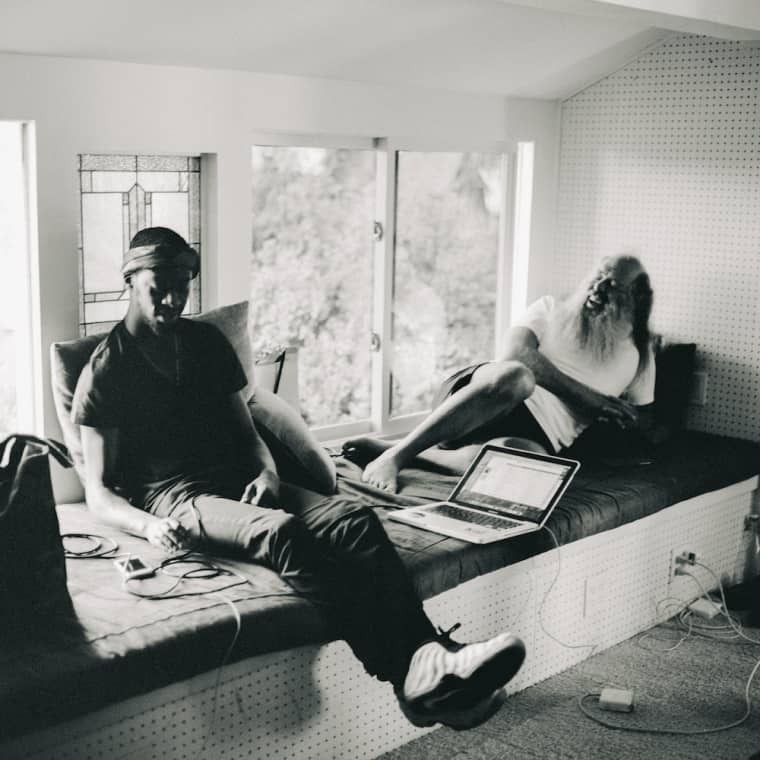 One of those curious folks was producer Rick Rubin—Goldlink recently joined a handful of young artists Rubin has summoned to his Malibu studio to tinker with demos. Their time together was documented by photo platform VSCO, and we talked to Goldlink about the story behind the session. How did you guys first connect? I was in Ghent, Belgium. I think he hit our manager up when we were out of the country, saying that one of his A&Rs was interested in the work and wanted to meet. So, since then, we met and just vibed. Instantly. We were like together for two, three hours just talking about ideas. Music. The future. The past. This was like the end of last year, November-ish. How was your first session with Rick? He pretty much wants to know what's going on with you. You know? What are you into, what are you listening to, what is inspiring you, what's your background. And I asked the same. At that time I didn't really... I knew about him, but I didn't know much about him. So, it was more like what do you do? You know, like, this is tight, this is a nice place. Like, what's going on? He kind of tells you the insight of everything, and you're like, man this is awesome. 'Cause he's been around so many eras, and has his hands in so many things. I'm saying that he has so much knowledge of everything that equates to him being who he is today. Did you guys work on music at all? Lowkey. I've only been back twice, in two big intervals. It's more because it was at the end of the year. I was still touring and he was traveling around working on certain albums and things like that. So it was hard for us, it was harder for us to find time for each other, but we are working on that. What'd you take away from your time with him? I've gotten great advice from him, but what I took to heart was if you create the best art you possibly can, everything else will fall into place. We have a strong team and I believe it. And we are going to work the way we want to work, and he comes and he assists the project in any way he wants to.